I am interested for four years by the emergence of some Flemish chefs and naturally by the Dutch chefs. I will not make any politics here, but the chefs of this region, whether the Belgian side or the Dutch side, often have the same influences, “terroirs” or internships. Many of these chefs have done an internship at Oud Sluis restaurant with great chef Sergio Herman or with Peter Goossens (Hof van Cleve) or now with Kobe Desramaults (In de Wulf). 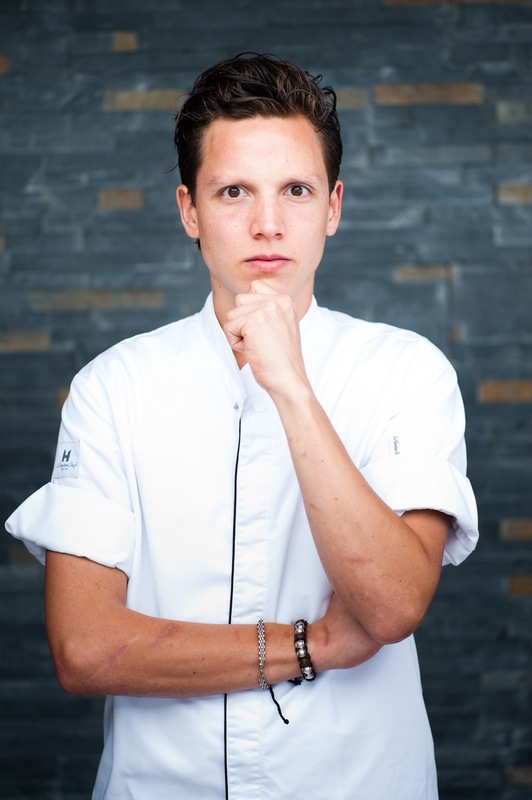 Syrco Bakker are not yet 30 years old, but he has the confidence to Sergio Herman to lead the kitchen of Pure C restaurant. As Corneille says: “Aux âmes bien nées, la valeur n’attend pas le nombre des années”. After stints (internships) at Jean-Georges Klein and Jonnie Boer, it is with Sergio Herman he could truly let go of his creativity! 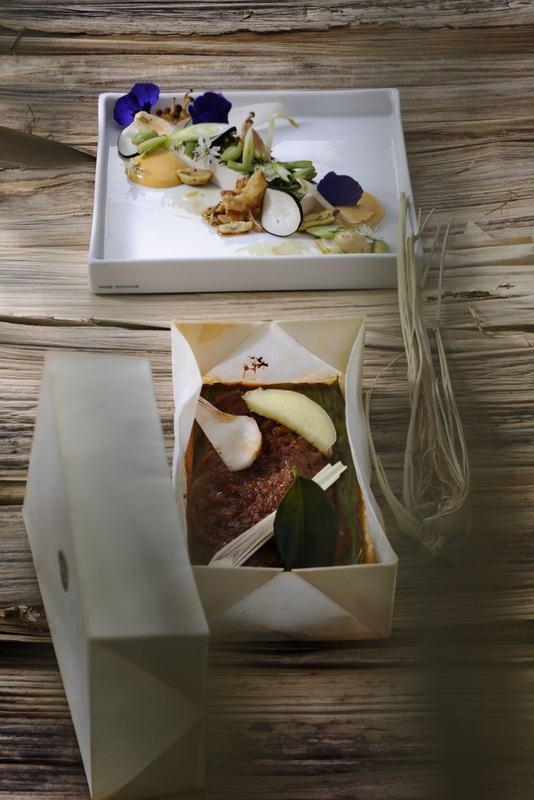 But besides his technique and influences of the North Sea, it’s his Indonesian childhood that brings a new angle to the “cuisine” of Syrco Bakker. but it is truly the creative process of this young chef who impressed me: creative, inspired, meticulous and who gives the time at time! … And I think this is only the beginning of a great creator in “cuisine”! SBakker– Yes, Indonesian food! When there was a birthday of my parents, we prepared classic Indonesian dishes for these days. It was always tasty food with a lot of love in it. SBakker– I like to work with products from the sea. 4-(Scoffier) Several excellent young chefs have worked with great chef Sergio Herman, what did you learn with him? SBakker– To focus and go for perfection. Just to give everything, every day to cook the best as possible. Over and over again, everyday better! 5-(Scoffier) The restaurant overlooks the sea, how the North Sea influenced your “cuisine”? SBakker– Like I said already we use a lot of products from the North Sea in the kitchen, we also have our garden on the dunes in front of the restaurant with salty herbs and vegetables. 6-(Scoffier) How do you develop (process) your recipes & the menu? SBakker– At my office I have a big “mood” board. Every time when I have got an idea I hang it on the “mood” board. Then we collect information about products, preparations, presentation, plates etc. When I think we have enough information then we start with testing technics and tastes and develop a dish. 7-(Scoffier) The restaurant scene looks very original in Flanders (I think at Bruges, Ghent…), and I include you, same if you are in Netherlands! Is it a perception from the outside or do you feel it? SBakker– I think everybody is doing something what they like/love. For me personally, I cook what I like without looking to other restaurants. I try to get an own style and signature. When I cook like that I can put extra feeling in a dish/the food and I believe the guests taste it as well. 8-(Scoffier) You recently released your first book. How do you describe that book: your history, recipes of Pure C, everyday cookbook, other? SBakker– We wanted to get the Pure C feeling in the Pure C Book. With a lot of nice photos of the restaurant, the area and of course the food. There is also a CD included with the music we play at Pure C to get the “Pure C vibe” where ever you are. In the book there are also recipes of 50 dishes that we served at Pure C.
9-(Scoffier) Can you give us a detailed recipe (Signature dish or other) that is characterized the cuisine of Syrco Bakker? 10-(Scoffier) What are your goals (ambitions) as chef? SBakker– First of all the goal is to have a fully booked restaurant with people how really like to be at Pure C. I am very happy that we can work like this since the opening. Then I want to level up the quality, experience and the food every menu. So we can surprise the guest every time they visit Pure C.
For the complete recipe and instructions, see the Pure C Cookbook (p.130). This dish has authentic Indonesian flavors. I transformed the original recipe to a light Pure C version. To still feel the Indonesian street food, we present the mackerel in a paper container. © Credits for photo #1 at Pure C. Credits for photo #2 (dish) at Tony Le Duc.